Kids are always one of the great concerns, when considering whether or not to relocate and become an expat. Should you avoid relocating with small kids at all costs or is it not as scary as it might sound? Of course, it depends on the country you are considering to relocate to, but in many cases all it takes is just an extra bit of planning beforehand. When the opportunity arose for us to move to Shanghai, our daughter was just 1 year and 4 months. I have to say that I wasn’t sure about it. China with a toddler? I was completely new to the concept and didn’t know what to expect. We decided to give it a go and I was surprised at all the help I had with settling down in Shanghai – affordable domestic help, friendly expat mom’s community, fellow expats always ready to offer an advise. I’m glad that we took a leap of faith and it all worked out better than I thought it would. I talked to an expat mother, Keri, living with her husband and three kids in Abu Dhabi. Originally Australian, they moved from UK to UAE with a toddler and a new born, the youngest memeber of the family joining them at their new location already. Keri’s experience of relocation with small kids is also a positive one. She will tell you about the perks of living with small kids in Abu Dhabi and point out what things you should pay attention to, when arranging the move. 1. Please, tell us more about your children – where were they born? At what age did they relocate? Our first daughter Zoe was born in 2010 when we were both working in London. 2 years later our son Liam arrived. When he was only a few weeks old my husband Brad received the first phone call from a head hunter asking if he would relocate to Abu Dhabi. We had fairly firm plans at this point to move back home to Australia after my maternity leave, closer to family as we had outgrown our London flat. However, 2 weeks later I was getting an urgent passport issued at Australia House as they wanted to fly the whole family out for interviews and only a month after that we had replaced the cobbled streets of London with the desert sands of the UAE. I found myself with a 2 and half year old and a newborn in a brand new city. We felt settled fairly immediately so I resigned my London job and then along came our third, another boy Jack who was born in Abu Dhabi, he’s now 10 months old. 2. What would you say is the hardest part of relocating with small kids? For me it was those first few weeks, keeping them entertained while we got about with organising the logistics of our new lives without my support network. We moved in September when temperatures are still 40 degrees plus. We spent most of the day stuck in a hotel room going stir crazy. It was difficult to get a taxi anywhere like a soft play, loading up car seats, double strollers without help in the heat. Until the paperwork was done I couldn’t enrol my older girl in nursery. There were many moments I felt utterly alone and isolated, counting the minutes until hubby came home. House hunting in the heat was also incredibly straining and my little one refused to take a bottle so I had to get rather used to breastfeeding in public! Now that we are settled there is huge benefit to living here. It really is a family friendly city. Many of the mothers I know are also ‘trailing spouses’ and not working just now, so I have plenty of other mums to socialise with and there are lots of activities, clubs, parks, play centres. A huge perk to the expat life here is the affordability and availability of domestic help. I resisted for about 6 months but finally gave in when I started to work from home part-time. We have a wonderful Filipino lady working for us now and she is just amazing. Not just help with housework, she minds the baby while I am taking the older kids to school, she helps with babysitting, and is a really nice caring person. It is an immensely different lifestyle to what we would have in Australia or the UK where I would almost certainly need to work still to afford a home big enough to fit us all and the cost of child care, schooling and health. We are hugely grateful for the things we have and how we are currently able to live. 4. Do you think that the place, where you live, affects your parenting in any way? I think my parenting is completely different to what it would be in Australia. Firstly, we can afford to live on one salary at present so I have been able to take an extended period of maternity leave and be here for the kids while they are little. Having a home help has also meant I am not as stressed and busy with the housework in my ‘free time’. I spend more quality time with the kids when they are not at school or nursery and I have time to pursue my own projects, including starting my writing career which I have wanted to do for years, I also do share trading from home. 5. Is Abu Dhabi, in your opinion, a difficult place to relocate to with kids? Not at all. The first couple of months are hard and the heat can make things challenging, but once you start getting yourself settled I found it relatively easy to meet people and learn about activities to keep our days busy. Although Arabic is the official language, we get by day to day entirely in English. The use of Facebook as a networking tool is quite astounding! There’s a very active online community willing to help answer questions, as well as buying and selling things like toys and baby gear. If anything, having small children has made the transition easier as other mum’s are so willing to reach out and be friendly to newcomers, you always have a talking point and common interest. 6. What advise could you give to parents of small children, considering relocation? Be prepared to put yourself out there. Strike up conversations at play parks, join groups on social media. A lot of new mums find it helpful to join Abu Dhabi Mums, they are a volunteer organization that has been around for over 20 years, they run play groups and activities all over town so there’s always something to suit children of different ages and most of the members are in exactly the same situation as you looking for friends and play dates – they have a no-nanny rule so its genuinely other parents you’re mingling with. Be prepared for how early children start school here. If you are going through British curriculum, Foundation Stage 1 is the year you turn four and attached to places in the primary school (FS2) when most children would usually start in the UK. This means during the academic year that your child turns 3 you need to be thinking about registering them in October/November ready for the following year. I found out by pure luck at a play group I had invited myself along to and got in that night when applications opened at our local international school, waitlists are long and competition increasingly fierce. Aside from missing family, It’s actually a wonderful time in your life to live overseas and make new friends. 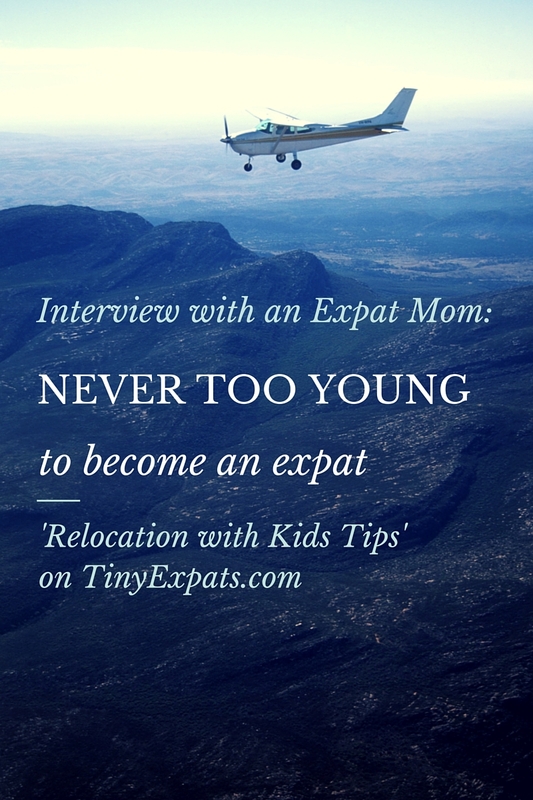 You can read this interview with Keri (from Baby Globetrotters) about relocating with small children on Easy Expat’s Blog Expat in my regular feature there, Expat Kids. We are an American family wrapping up our first year in Jamaica and would be happy to share our experience. Cheers! Thank you for getting in touch! Will conact you shortly! We love it! We are one year in and still haven’t made it to Kingston. That’s embarrassing to say given the island is so small!